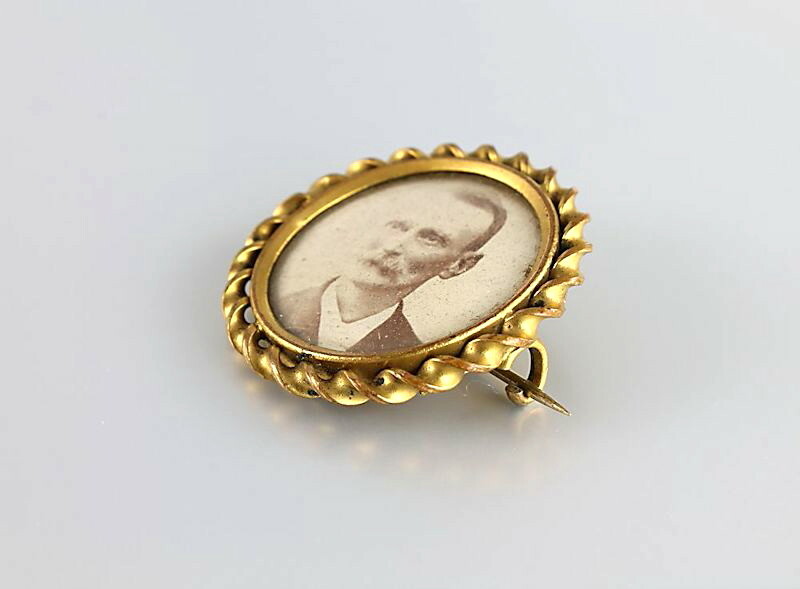 Antique Victorian memorial photo brooch, a classic mourning jewelry piece. 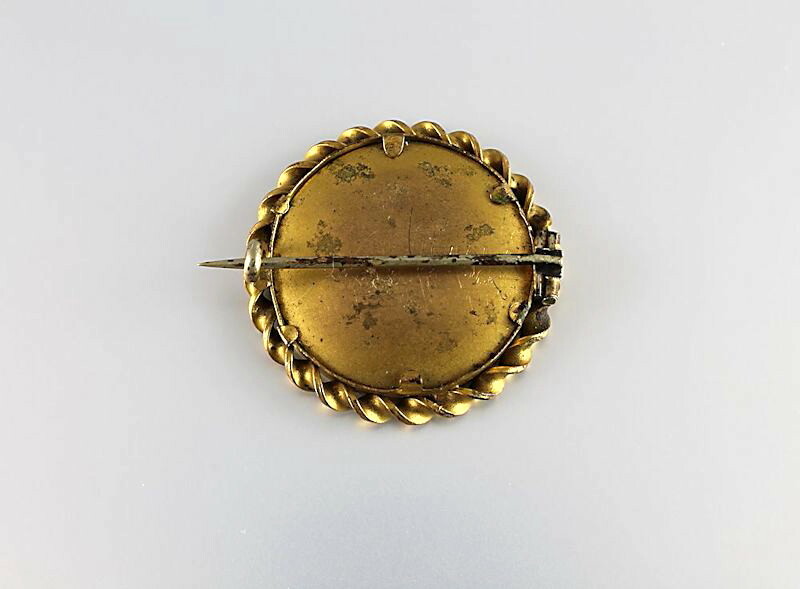 It measures 1 1/16 inches in diameter and has a C clasp. The overall condition is very good vintage with normal wear for its age. 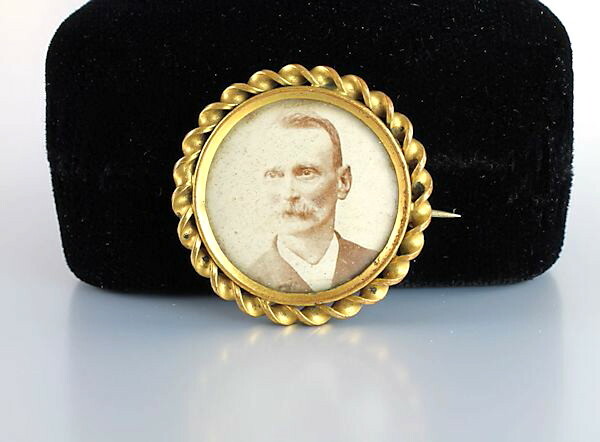 Classic circular shape with braided gold tone frame. Early 1900s.